China plans to curb construction of unapproved government buildings, amid a national campaign against wasteful spending and graft, according to an updated draft regulation published by the State Council, the country’s cabinet. The Communist Party has been eager to project a frugal image since Xi Jinping became president last year, renewing efforts to stamp out corruption and win back public confidence after an endless series of scandals involving high-living officials. Under the draft laws, any construction of government offices must be accompanied by feasibility reports and design blueprints, and will require official approvals before construction can begin, state news agency Xinhua reported on Thursday, citing the Legislative Affairs Office of the State Council. “Buildings with reception functions such as accommodation, meetings and banquets, including those in the name of ‘training centers,’ are off limits,” it said. The regulation will also ban any form of loans from financial institutes, sponsorships and fund-raising for unapproved construction projects. via Frugality bites as China curbs construction of government buildings | Reuters. Chinese President Xi Jinping’s anticorruption campaign has lasted longer, gone deeper, and struck higher than many analysts and academics had expected. Xi has been so zealous that since late last year retired Communist Party leaders including ex-President Jiang Zemin have cautioned him to take a more measured pace and not be too harsh, say Ding Xueliang, a professor of social science at the Hong Kong University of Science & Technology, and Willy Lam, an expert on elite politics at the Chinese University of Hong Kong. Xi is cracking down on the army and the police at the same time, something no leader has done before, says Ding. Gu Junshan, a lieutenant general in charge of logistics for the People’s Liberation Army (PLA), has been charged with bribery, embezzlement, and abuse of power, the official Xinhua News Agency reported on March 31. He will be tried in military court. More than 180,000 party officials were punished for corruption and abuse of power last year, according to the Central Commission for Discipline Inspection, the party’s watchdog. While most were low-level officials—or “flies,” as Xi has put it—they also included senior party members—“tigers,” in Xi’s words. Thirty-one senior officials were investigated by the commission last year: Eight had their graft cases handed over to prosecutors. The remaining 23 are still being investigated. via In China, Xi’s Anticorruption Drive Nabs Elite, Low Ranks Alike – Businessweek. A new study has revealed the impact of President Xi Jinping’s belt-tightening measures, with the number of official banquets falling by as much as 50 per cent last year. Zhang Zhongliang, director of the statistical education centre of the National Bureau of Statistics, showed that Xi’s year-long campaign not only cut down expenditures but also freed up time by “setting officials free” from such obligations. Zhang read out some findings of the study on the effects of Xi’s eight-point austerity directive at the Beijing-based Communication University of China, the Southern Metropolis Daily reported on Thursday. He said county-level officials, who typically spend the most time at banquets among all ranks of government, on average attended 12.2 official banquets per week last year, compared to 18.2 per week in 2012. Zhang said county engagements dropped by one-third, while provincial and national-level officials saw the number of banquets drop by half. This gave civil servants an average of 30 minutes more with their loved ones, Zhang said. It was not reported whether the survey was based on reports from bureaus or monitoring by third parties. At least six different sectors were directly affected by the crackdown on official parties, mainly the catering, tobacco and wine industries, the study said. Zhang said the catering industry’s growth dropped to 3.8 per cent last year from 8.8 per cent the previous year. The total sales of luxury wines in the mainland market plunged 40 per cent in the same period. Zhang said these measures partly contributed to a slowdown in the country’s economy but it was “a price that must be paid” to root out corruption. Extravagance among party cadres drove up consumption in the short-term, but would distort supply and demand in the long run, he said. 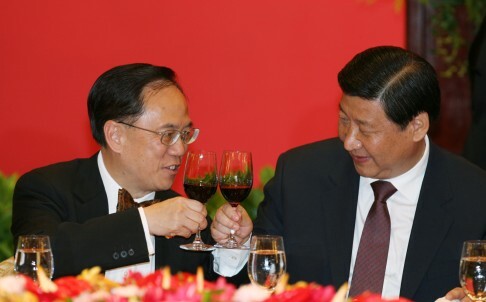 via Communist Party banquets cut by half in 2013 under Xi’s austerity drive | South China Morning Post. China is getting serious about reining in at least one aspect of its ghost cities—the monolithic work palaces built for civil servants. On March 19, the central government announced it has investigated 147 officials and punished 55 for violating a five-year ban, imposed last July, on construction of all new government buildings. “The malpractice of constructing new government buildings should be exposed. Departments and individuals should never cover or shield the malpractice,” said the State Council in its statement. “Precious funds should be used for safeguarding and improving the people’s well-being,” the statement said, as reported by the official Xinhua News Agency. The ban has at least two purposes. One is to compel local governments to spend state funds more wisely, as concerns about growing levels of debt are mounting. China’s National Development and Reform Commission last year announced that 144 cities in 12 provinces were planning to build more than 200 new towns. A Feb. 20 analysis by Beijing economic consultancy Gavekal Dragonomics showed that by 2011, 45 percent of all investment in China was channeled into “stagnant or loser prefectures,”—defined as those with little or negative population growth. “Empty towns and ghost cities are redundant constructions that do not generate much economic benefit. They are a huge waste of resources which pile debt pressure onto local governments,” editorialized the People’s Daily last year. The ban is also part of President Xi Jinping’s effort to curb ostentatious behavior by government officials and crack down on graft. The aim is “to promote a national frugality campaign and curb official’s appropriation of public funds,” explained Xinhua. via China Cracks Down on Ghost City Monoliths – Businessweek. 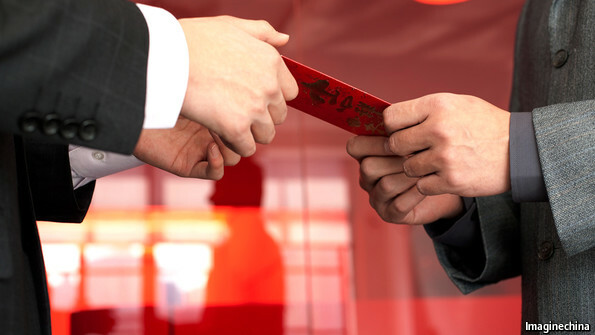 Chinese people spent $6.9 billion overseas on luxury goods during the Spring Festival holiday (Jan 31 – Feb 6), a drop of 18.8 percent from last year, according to World Luxury Association. And domestic sales of luxury goods were only $350 million, a 57.8-percent drop from 2013 and 80 percent drop from 2012. The European area tops the destinations by receiving nearly $3.6 billion of total overseas spending during the festival. Meanwhile the domestic luxury goods consumption also saw a sharp drop in five major cities (Beijing, Shanghai, Guangzhou, Shenzhen and Chonagqing), standing at $350 milion, down 57.8 percent from the same period of last year and 80 percent from 2012. Insiders said the results were due to the Chinese central government‘s cracking down on corruption, which led to dramatic decrease in government-paid junkets and officials accepting gifts. via Chinese luxury spending drops 19% during festival- Chinadaily.com.cn. \”Best employee\” got a Porsche. The \”excellent\” few scooped 500,000-yuan stocks and trips to Hong Kong. \”Good\” employees won cool gadgets like NOTE2 and IPhone 5s. Generosity indeed at the year-end dinner of Qihoo 360, an NYSE-listed Chinese Internet company, which wowed netizens and left many public sector employees somewhat slightly envious. Traditionally, Chinese companies host \”annual conferences\” in the last lunar month of the year to celebrate their success by thanking staff and clients. 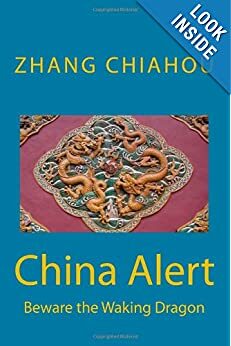 In previous years, the most lavish of such extravaganza were often the headline grabbing spectacles staged by China\’s mammoth state-owned enterprises (SOEs) featuring sumptuous banquets in five-star hotels, swanky gifts and wall-to-wall celebrities. 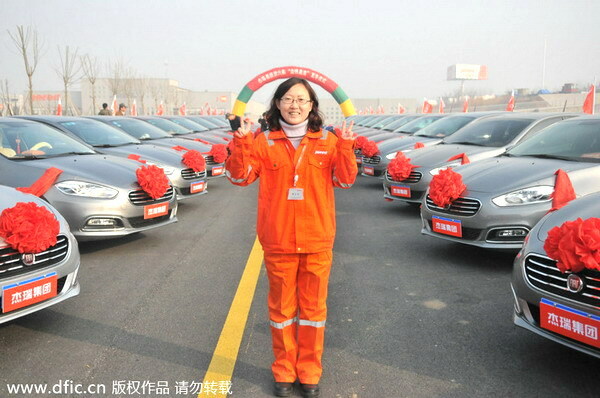 This year, it was private firms which stole the show, while the otherwise high-profile SOEs had little to celebrate. Employees of a number of big SOEs in Beijing have told Xinhua that \”annual conferences\” would either not be held at all, or would be receptions made \”as simple as possible\”. The gifts for staff and clients have morphed from MacBooks, IPads and IPhones to chocolates, towels and even toothpaste, they said. Tian, who works in a state-owned Beijing bank, told Xinhua that his bank won\’t be hosting any annual conference at all this year, for the first time in many years. He recounted the good old days when the winner of the prize draw at the annual conference received a 60-gram gold bar and he, together with hundreds of colleagues, won a MacBook. This new austerity SOEs have suddenly adopted is a direct result of a campaign to cut extravagance and reduce red tape which has been in full swing since the Communist Party of China (CPC) leadership election in 2012. The CPC has sworn to reduce waste, promote frugality and banned CPC officials from pomp, ceremony, bureaucratic visits and unnecessary meetings. These annual dinners, often attended by government officials, evolved into nothing more than wining and dining away public funds, and an opportunity of buying gifts and trips, said Yu Nanping, a professor at the East China Normal University. Many companies turned the year-end dinners into public relations events and a tool for cozying up to government officials, he added. An annual conference can cost hundreds of thousands yuan, including planning, lighting, venue hire, catering, services and gifts. A state-owned building material company in Beijing used to host annual conferences for officials, employees and clients not justin Beijing, but often flew guests to Yunnan or Fujian provinces, costing about 2 million yuan each time, according to the firm\’s public relations manager. This year they canceled such trips and held a conference call with staff and clients in other cities, said the manager. via The party is over for SOEs conferences – Chinadaily.com.cn. 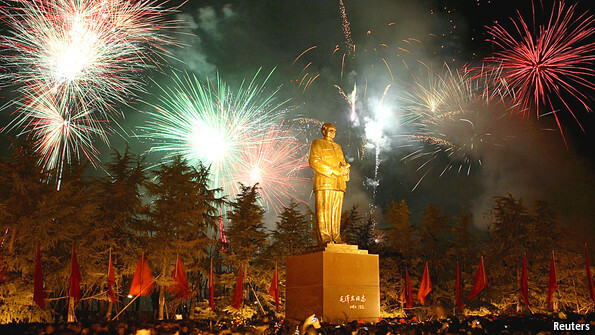 THE village of Shaoshan in the green hills of Hunan province in east-central China is gearing up for a big party on December 26th: the 120th birthday of its most famous son, Mao Zedong. Debate rages in China over Mao’s historical role. Some call him a tyrant for the violence he put at the heart of his rule, causing the deaths of tens of millions of people. Others worship him almost as a god. In Shaoshan he is a money-spinner, with the farmhouse where he was born attracting millions of Chinese tourists every year. For President Xi Jinping evaluating Mao’s legacy is especially tricky. On the anniversary he must tread a careful line. Since he took over as Communist Party chief a year ago Mr Xi has shown a fondness for Maoist rhetoric. He calls, for instance, for a “mass line” campaign to restore the party’s traditional values and a “rectification” movement to purge it of corruption. Mr Xi’s willingness to show off his grip on power suggests a leadership style more evocative of the Mao era than of the grey consensus of recent years. Earlier this year he is reported to have told Vladimir Putin, the Russian president, that “you and I have very similar characters”. Yet in ideological terms, Mr Xi is no Maoist. This month’s anniversary is probably a headache he could do without. In November, at a landmark plenum, the party’s central committee adopted a resolution which, in economic terms, aims to shift China even further from Maoism than the late reformer, Deng Xiaoping, attempted. Market forces, it ruled, would henceforth play a “decisive role” in the economy. Still, Mao continues to exert a powerful influence over the party and public opinion. Mr Xi dares not play down Mao’s “contributions” for fear that outright de-Maoification could fatally weaken the party’s grip. A recent article in the party’s mouthpiece, the People’s Daily, said that a big reason for the collapse of the Soviet Union—an unadulterated tragedy, it was naturally understood—was the “negation of Lenin and other [historical] leaders”. As Communist China’s founder as well as the leader most noted for brutal excess, Mao is Lenin and Stalin rolled into one. At December’s birthday celebrations, some sense an opportunity. 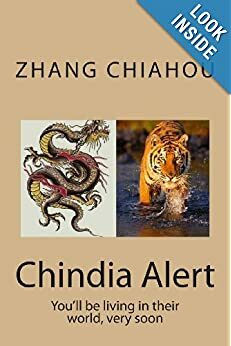 At one end of the political spectrum are liberals who want Mr Xi and China’s new generation of leaders to repudiate Mao as a prelude to far-reaching political reform. At the other end are diehard or born-again Maoists who revere the late chairman as an embodiment of anti-Western nationalism. They want Mao to be, in effect, sanctified, with December 26th declared a national holiday. In recent months, both ends of the spectrum have been trying to push their cases. They will be paying close attention to what Mr Xi has to say. via Mao Zedong: Merry Mao-mas! | The Economist.